How to see more EPUB 3.0 metadata list with Calibre? You can follow this tutorial to view EPUB 3.0 metadata list with Calibre. 1. 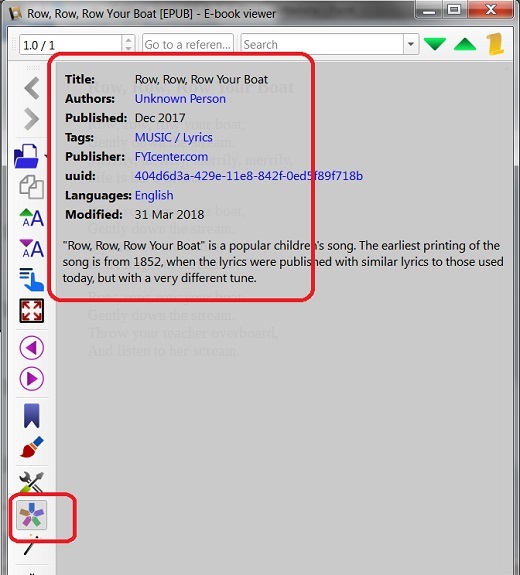 Click Row-Your-Boat-3.0.epub to download this sample EPUB 3.0 book. 3. Double click on the book to open it.